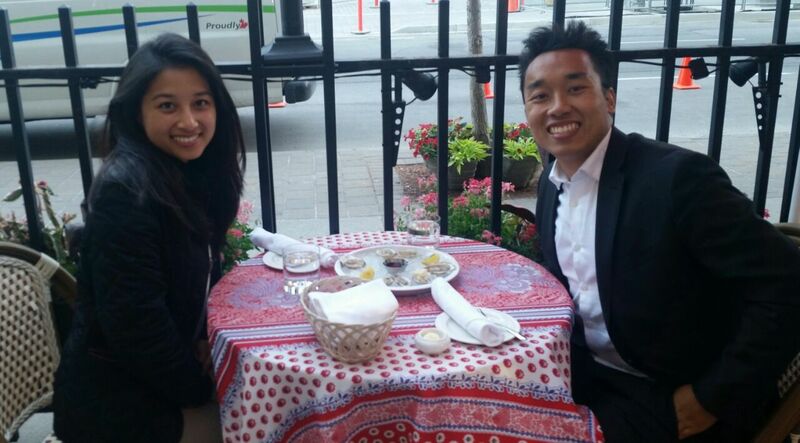 Patio restaurants are great visits to make during the warm weather of summer. In the spirit of Christmas Eve (and although it’s quite warm outside!) I have a new post about a particular excursion out in the city with my older brother, where we indulged in some foods from the patios. The two restaurants being, in order, The Watermark Irish Pub and Restaurant, and then taking a walk around Union station area to the Biff’s Bistro. The Watermark Irish Pub; is located just out by the waterfront. 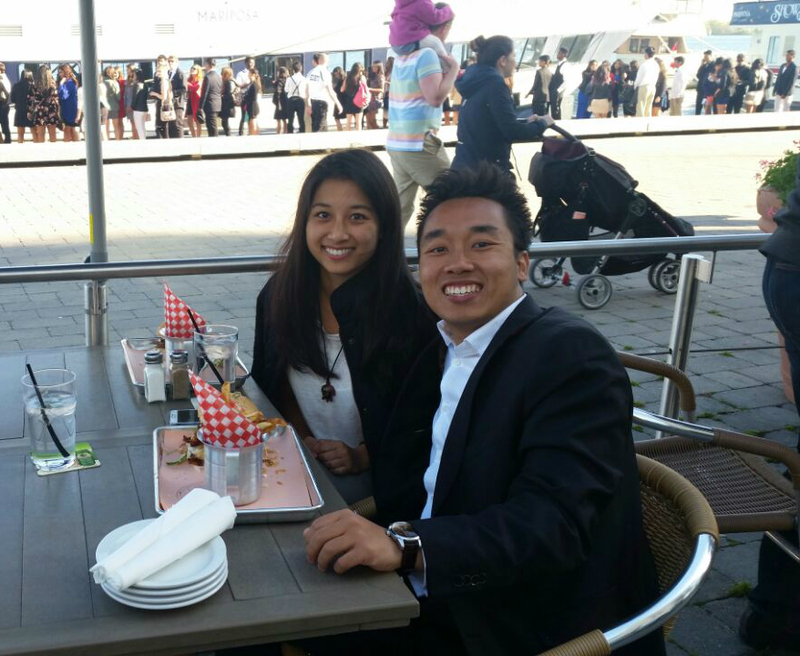 Guests are able to enjoy a nice view of the Toronto lake, while enjoying some of the classic foods. 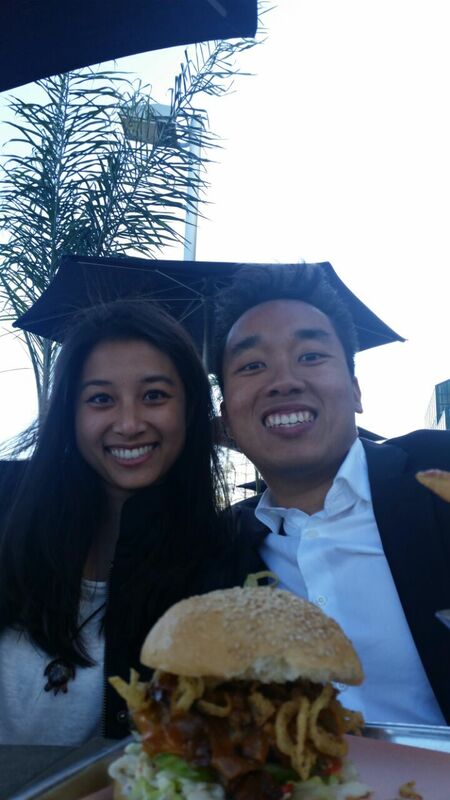 For myself and my brother, we ordered a classic Ontario Beef Burger (because who can go wrong with a classic taste?) which had fresh hand-made patty,lettuce, tomato and pickles with caramelized onions and cheddar. I believe I also added some avocado in order to have some more texture in my burger. This was a great choice to have. Alongside it we had fries as well. The next stop on our list that day was a bistro we happen to stumble upon because we saw there was an offer on “Dollar Oysters”. The Biff’s Bistro is located on Front Street which was right by Union Station, and specialized in oysters and French Cuisine. At Biff’s Bistro we simply ordered 6 oysters for test, as this was our first time trying this place. However, for a first experience it was great! 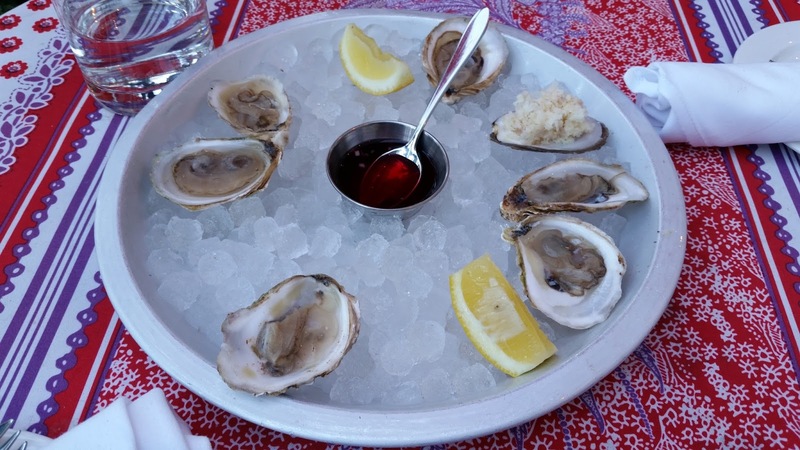 We would pour some red wine sauce into the oyster shells, and with our spoons we would scoop it all up and spoil ourselves in the salty and fresh taste called oysters. This was a treat for us when we went to the bistro. Satisfying snack for the both of us! In addition to the lovely oysters we had, we also ended our excursion with some desserts! 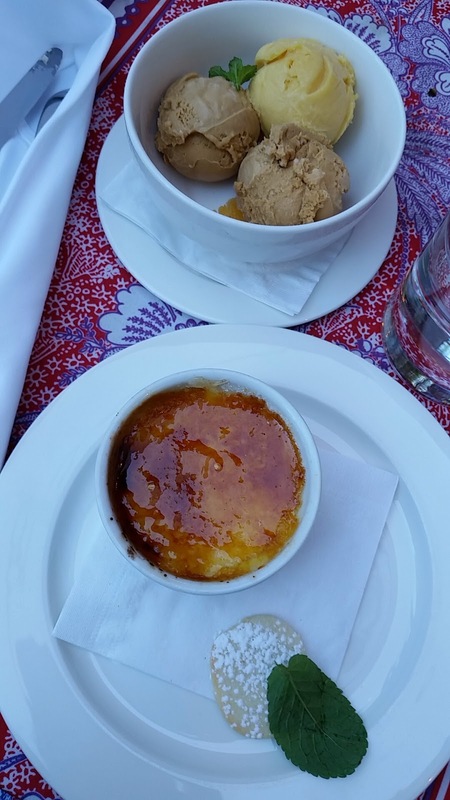 My selection of dessert consisted of Classic Vanilla Bean Creme Brulee with Sable Cookie, which is once again a very famous and common choice for dessert for many. The creme was flamed wonderfully and the sugar on top was caramelized to perfection. Definitely a favourite of mine all around. My brother’s selection of dessert was an Artisanal Ice Creams including the flavors Caramel, Chocolate and Mango. Not much can be said about ice cream, however, I believe “ice cream” is enough to describe only a dessert that is splendid on it’s own!